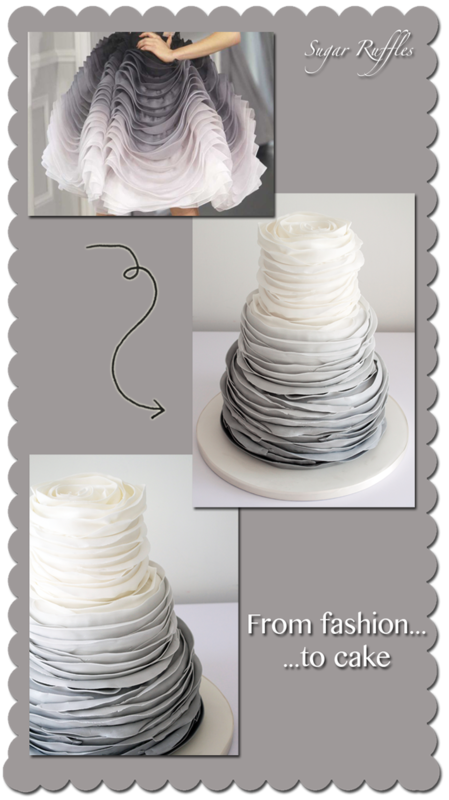 Wedding cake featuring ombre ruffles in graduated tones of grey. It's absolutely gorgeous - I just love the colouring you've achieved, and I'm sure it's scrummy too! Thanks Petra! The flavours inside were caramel for the bottom tier, chocolate for the middle tier and lemon for the top tier. Which are some of my favourites!